Choose from 15 different languages. Suitable for all levels of language learners. Extensive program of new HSC courses for students to help maximise their HSC results. 20% off selected subject areas. Microsoft and Adobe. Business and management. Short courses. Open to the public. Learn the smart way. Short courses, open to the public. What we do. A little about us. Choose from hundreds of short courses in Sydney at the Centre for Continuing Education, all open to the general public. Our training courses have been meeting the learning and education needs of the Sydney community since 1886 and are backed by the expertise of the University of Sydney and carefully selected educators who are industry experts in their field. Being a student with us means you'll develop skills and knowledge in your chosen area of professional, personal or academic interest. Our training courses are continually updated to ensure they remain current, relevant and a consistently high quality. 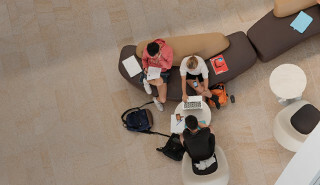 With short courses that cover a diverse range of interests and designed for all stages of life, you can learn new skills, gain new insights or discover your untapped creativity - hundreds of short courses in Sydney make it all possible at the University of Sydney's Centre for Continuing Education. Just a few of our clients. Trusted education provider. We acknowledge the tradition of custodianship and law of the Country on which the University of Sydney campuses stand. We pay our respects to those who have cared and continue to care for the Country. Meeting the needs of the Sydney community since 1886. © 1984 - 2019 The University of Sydney.